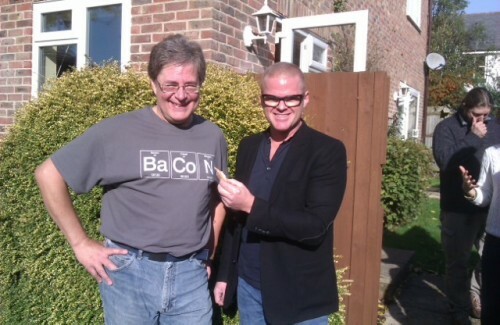 Heston, we have a potato. 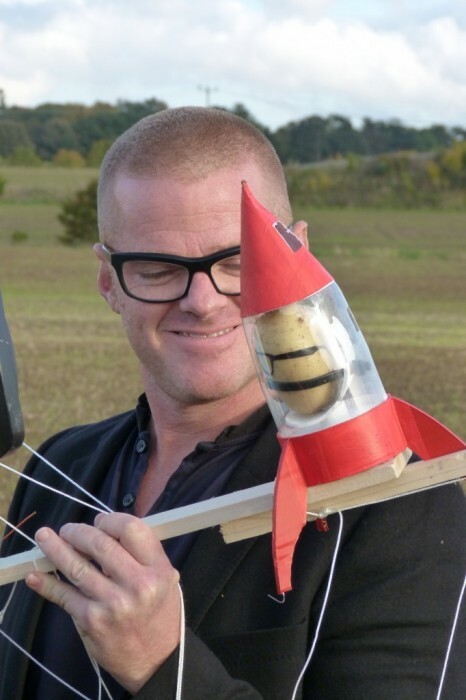 Heston Blumenthal’s production team got in touch last year to talk to us about an idea they’d had for his new series, the first episode of which was going to be based around pies. Given that we are a well-known British manufacturer of something that sounds a lot like pie, they thought we might like to get involved; we had a chat about what they might be able to do with a Raspberry Pi, and after having discounted sous-vide cooking as being insufficiently visual, we put them in touch with someone I thought might be able to help do something that’d look spectacular on TV. Slightly shonky photo a result of taking snaps of the TV with my phone. 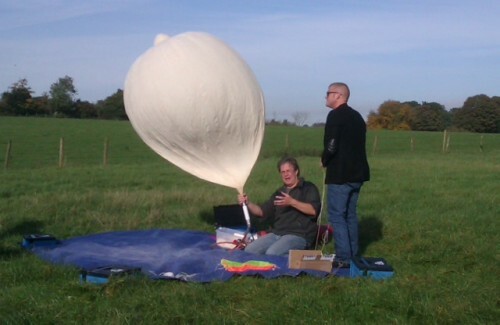 I’ll let our friend Dave Akerman, high-altitude balloon record holder and immoderately scary driver, explain what was going on. 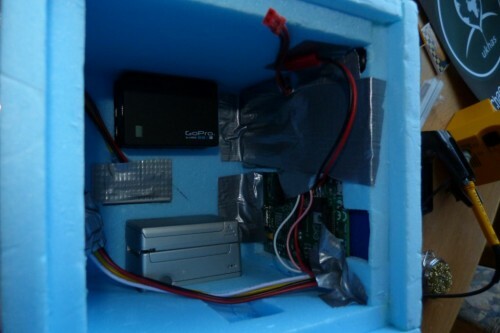 You can read this post where it was first published, and learn much, much more about high-altitude ballooning with the Raspberry Pi and how to get started yourself, at Dave’s website. 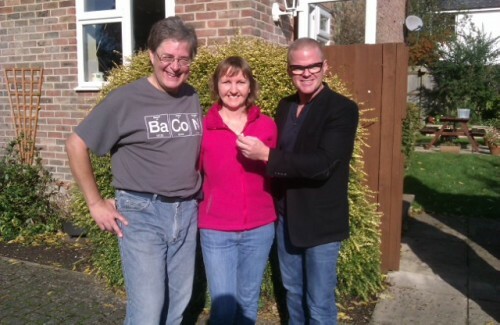 This fun project started with a call from a TV production company who were working on a series for Heston Blumenthal. 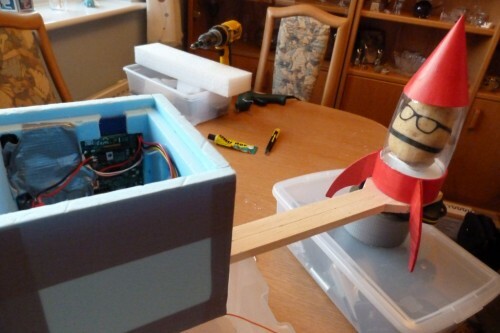 They’d heard that I fly the Raspberry Pi and wanted to include it in their Pie episode. 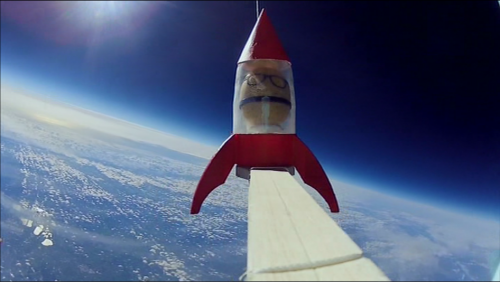 The idea was to fly a potato as that was the first vegetable to be grown in space. 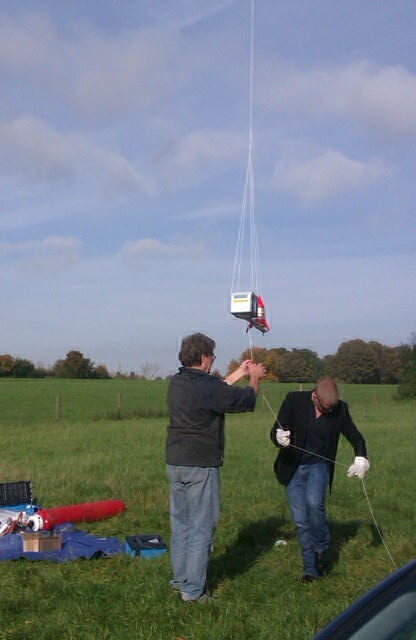 After this it was time to go and launch. The film crew were very unobtrusive so I found it easy to just get on with the launch, chatting with Heston and explaining how it all works. Next job of course was to chase the flight. The prediction had it going from Berkshire to Essex, so there would be little chance of getting there before it landed even without a film crew so slow things down! When we got to the area, some time after the flight landed, we got a very strong signal from near the road, and my direction-finder swung round rapidly as we passed the landing spot. Someone in one of the other chase cars saw it in a field as we passed! 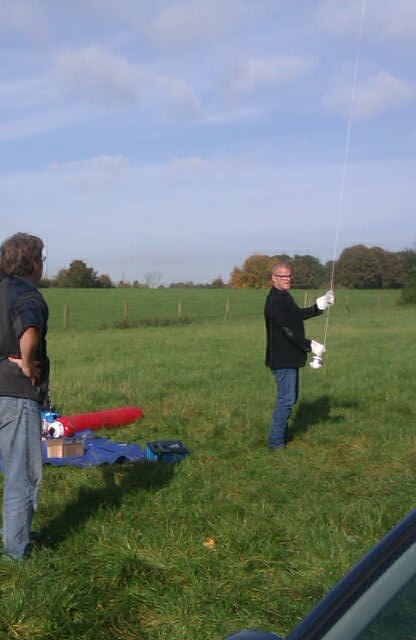 We then stopped to check maps and find the easiest way to get close to the payload. It was then a short drive to get to the field, where we donned wellies and made our way to the potato before it took root! 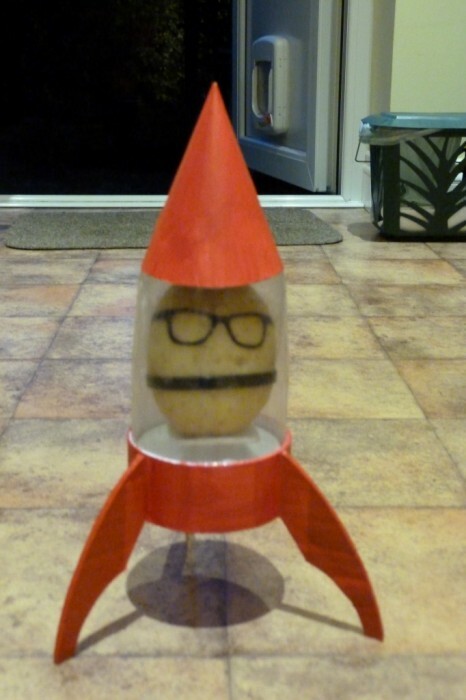 Heston had gotten more and more attached to the potato during the day, and he genuinely seemed unwilling to mash the thing up by the time it was recovered! This was all back in October 2013, and the show didn’t go out until May 2014! If you missed it, watch for repeats on Channel 4 or 4Seven, or watch it on 4oD. 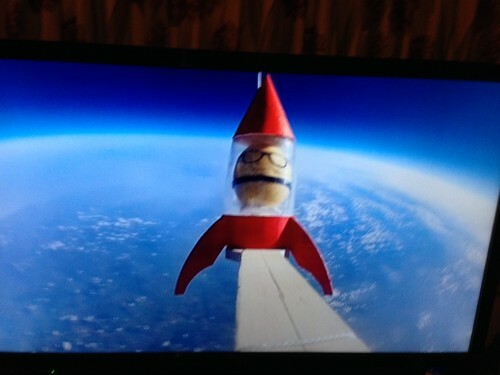 And here’s Heston talking about the potato on Alan Carr’s Chatty Man. Was the PiCamera not used this time? 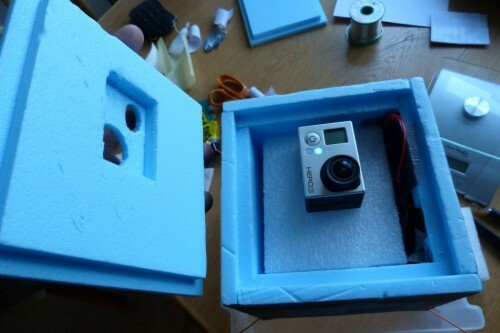 Yes, the Pi camera was used for all the live images being sent down; it was just outnumbered by all those GoPros! You can see the Pi images on the tablet that Heston watched in the car. There was another, AVR-based, backup tracker at the bottom of the flight (in the ball that Heston lets go of) but it wasn’t needed. No, not the first potato. I don’t think the one you linked to was the first beer either! How did you send the live flight images back? Also, regarding baud rate, 600 works well and 1200 would probably work well enough if you use a temperature-compensated transmitter and have enough listening stations. You just have to compromise on the image size. I usually aim for 1 image every 5 minutes. Remember that photos taken at altitude will compress a lot better than typical photos you take on the ground – a black sky compresses a lot! Jpeg file sizes will be about half what you’d otherwise expect.